14.62 miles southwest of Panacea, Florida. between the waters of the Gulf of Mexico and Alligator Harbor, a marine sanctuary. It's a small community of the Forgotten Coast that has no shopping centers, high rises, or fast food restaurants. 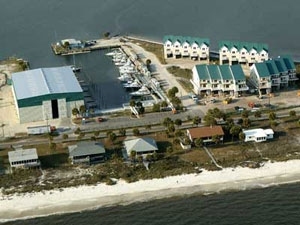 If you're looking for a slower pace of life, good fishing and white sandy beaches this is the place.